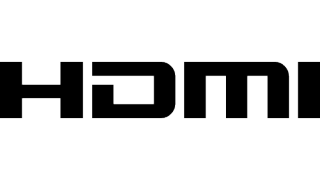 HDMI Licensing, LLC is releasing the HDMI Alternate Mode developed by the HDMI Founders for the USB Type-C Specification. This will allow HDMI-enabled source devices to utilize a USB Type-C connector to directly connect to HDMI-enabled displays, and deliver native HDMI signals over a simple cable without the need for cumbersome protocol and connector adapters or dongles. This enables two of the most popular solutions for connectivity to come together: the small-form-factor, reversible, and multi-purpose USB Type-C connector being adopted by smartphones, tablets, and PC products, and HDMI, which is the leading display interface with an installed base of billions of displays. Almost 290 million HDMI-enabled display devices are expected to ship in 2016, including projectors, monitors, and 100 percent of flat panel TVs. HDMI Alt Mode will support the full range of HDMI 1.4b features such as resolutions up to 4K, Audio Return Channel (ARC), 3D, HDMI ethernet channel, and Consumer Electronic Control (CEC). The HDMI cable will utilize the USB Type-C connector on the source side and any HDMI connector on the display side. Unlike the other Alt Mode display technologies, which require various adapters or dongles to connect to HDMI displays, HDMI Alt Mode enables an easy connection via a simple USB Type-C to HDMI cable.